Darkfield microscopy can be useful when staining a specimen is not an option. Learn a bit more about how darkfield microscopy works here. On a biological compound microscope, darkfield is often used when viewing blood cells or when examining any sample where staining the sample might kill it. 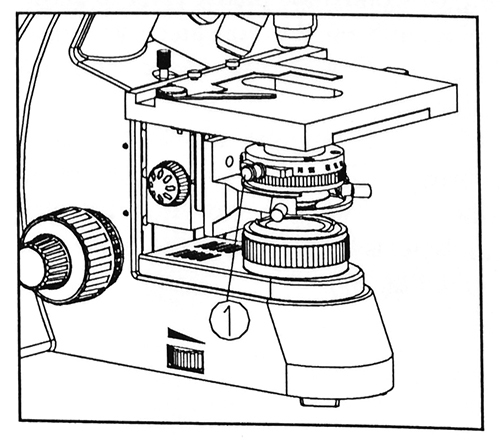 Typically a simple darkfield slider is inserted into the condenser on the biological microscope in order to create the desired darkfield microscopy image. 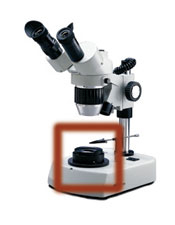 This is a darkfield slider that inserts into the condenser on a biological microscope, shown below in figure (1). 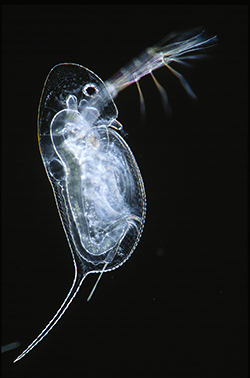 This Daphnia was captured using darkfiled on a compound biological microscope with transmitted light. Without using darkfield in this situation, the Daphnia would have been hard to view because it is the same color as the background it was against. 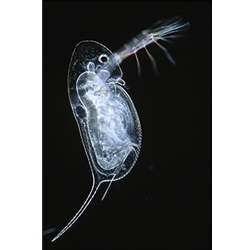 By using a darkfield slider, the light was dispersed and caused the Daphnia to appear to pop out of the background, making it very visible. On a stereo microscope a darkfield condenser is used to redirect light up around the subject. The stereo microscope darkfield condenser has an iris diaphragm that closes out much of the transmitted light and redirects the light up around the outside of the sample. Gemologists often use darkfield on their gemological microscopes when inspecting precious stones and diamonds. This image shows a stereo microscope with the darkfield kit installed. 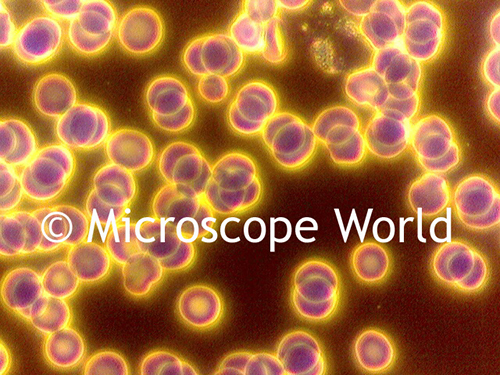 Below is an image of blood cells that were captured under a biological microscope using a darkfield slider. 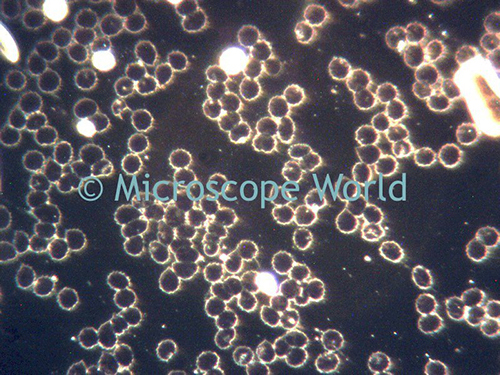 Above is an image of blood cells captured under the Motic BA310 microscope using both darkfield and phase contrast. If you have questions regarding darkfield microscopy or want to try to fit your existing microscope with darkfield, Contact Microscope World.